How many of us has jeans that are sitting in our wardrobe and seldom worn. Here's a good way to put them to good use. 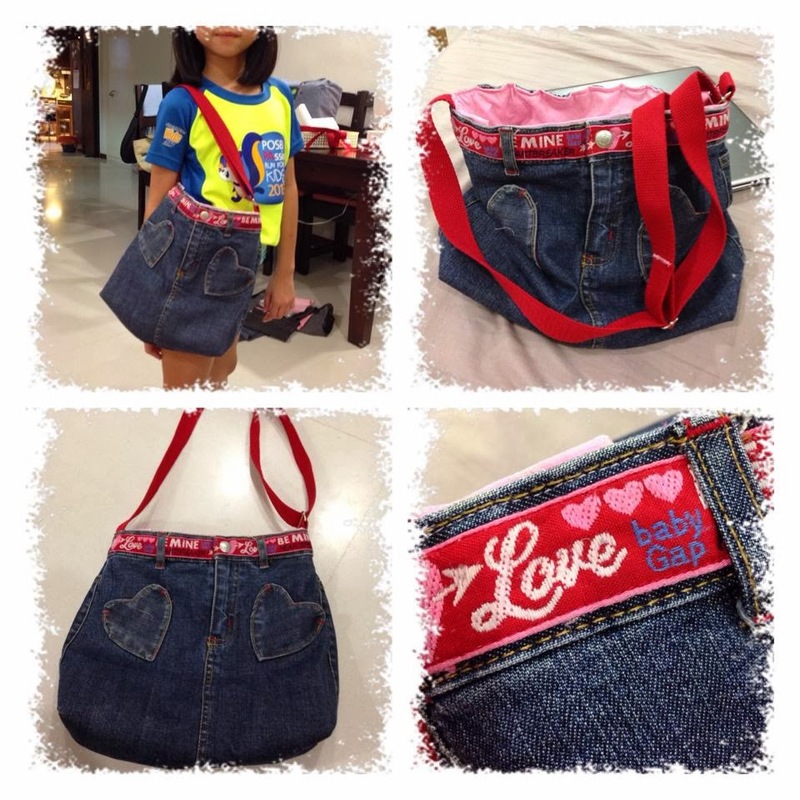 This is the first pair of jeans bag that I did. 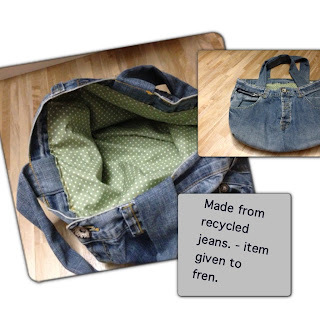 I managed to upcycle 2 bags out of a pair of jeans. One for myself and one for my daughter. I prefer a shoulder sling and Kimi asked for a dual (shoulder and cross sling). Sometimes, friends will pass me their own pair of jeans to be upcycle and I currently have about 5 on the waiting list to be done up. Busy busy. Prices for jeans bag are approx. SGD40-SGD45. If you pass me the pair of jeans to be upcycle, it's about SGD23-$25, excluding material lining costs. this pair came with embroidery patterns. Bags are fully lined. I would like to share how this fren dressed this bag up with a nice belt and flower. She changed her designs quite often, depending on her mood. LOL. This is yet another. This was a huge pair of jeans and thus the output as a huge tote. Oct 2013 - this was designed with embroidery and as sling with zippers - SOLD. Dec 2013. A fren passed me a pair of kids baby jeans skirt. Kimi doesn't want. So I upcycle to cute little gals bag. This was later gifted to my niece. Dec2013. 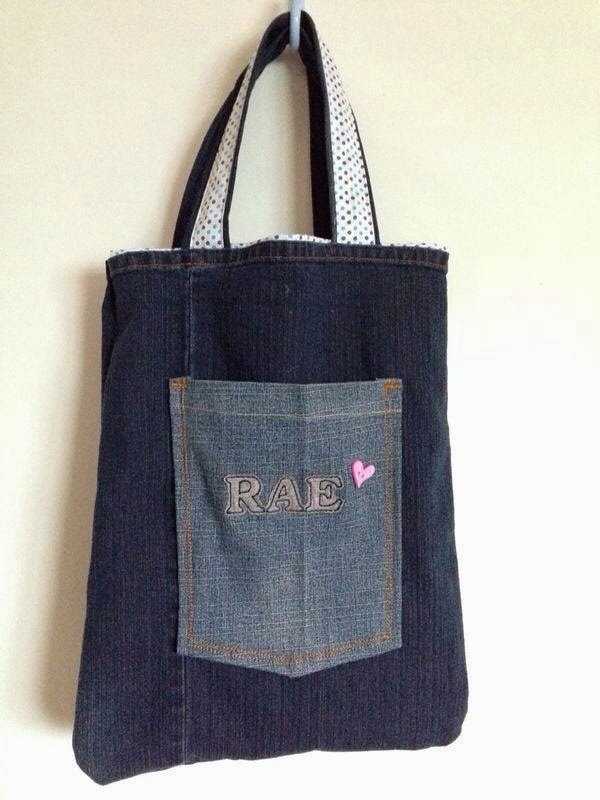 A jeans bag customized for A4 notes. I tried a new technique to embroidery the names. 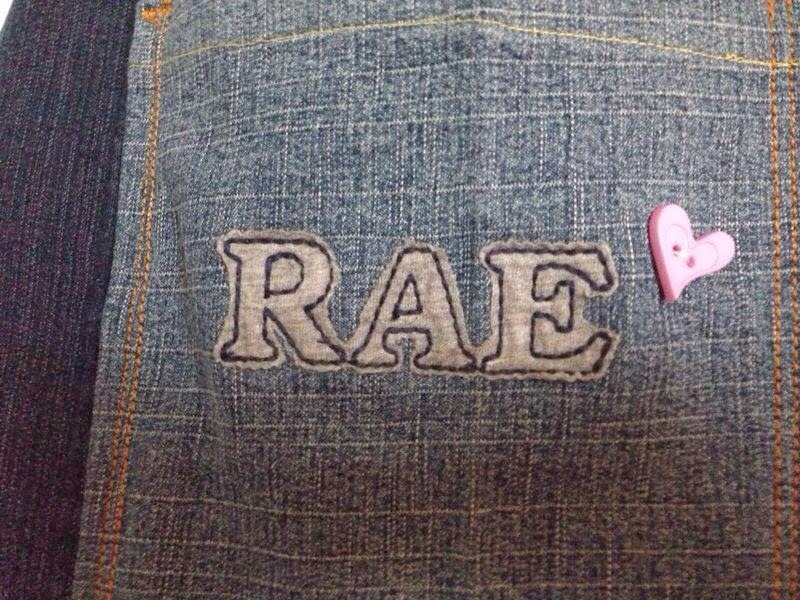 Rae, thanks for letting me to be creative and test out on your project ! and having so much trust and confidence in me! Dec2013-had a fair bit of jeans order in Q4-2013. So thankful.